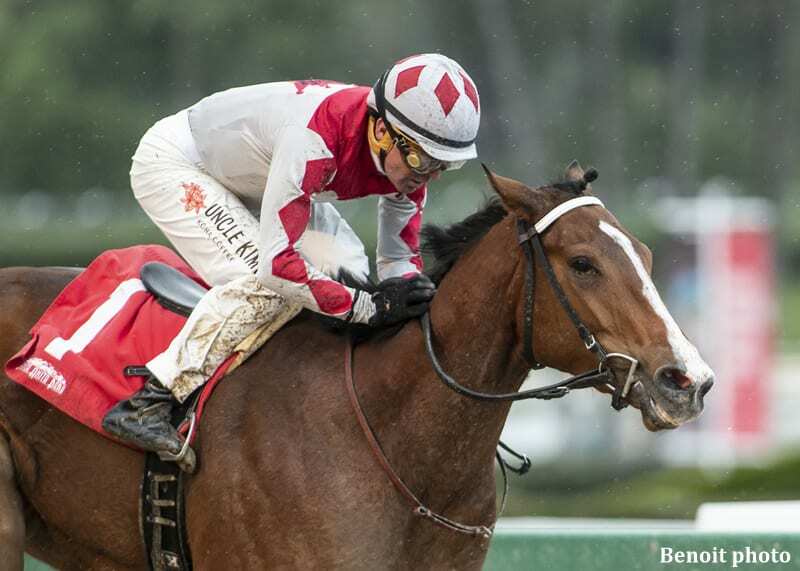 A California-bred daughter of Unusual Heat, KMN Racing's homebred Apache Princess relished a change in surface from Santa Anita's hillside turf course to 6 1/2 furlongs on a sloppy main track on Sunday as she rallied up the rail to take the $100,000 Sweet Life Stakes by 3 1/4 lengths. Trained by Keith Desormeaux and ridden by his Hall of Fame brother Kent, Apache Princess got the distance in 1:16.82 despite the fact her rider dropped his stick inside the furlong pole. Out of KMN Racing's Indian Charlie mare Puskita, Apache Princess, who became the first three-time winner at the meet, now has three wins from six starts and with the winner's share of $60,000, increased her earnings to $171,960. Originally a Grade 3 on turf, the Sweet Life Stakes result will be evaluated by the American Graded Stakes Committee in the coming days to determine if today's race will retain its graded status. With the surface changed announced prior to today's fifth race, there was one late scratch out of the Sweet Life, Irish-bred Ginger Nut, a turf specialist, who was to have made her U.S. debut for trainer John Sadler. This entry was posted in Racing and tagged apache princess, Horse Racing, Keith Desormeaux, kent desormeaux, kmn racing, santa anita, sweet life stakes, Unusual Heat by Mike Willman. Bookmark the permalink.